Like many liberal arts graduates before him, in the mid 1990s, Gang Zhao found himself, with some reservations, working in finance. “I was an artist, I didn’t study economics,” says Zhao, who was born in China, studied painting in Maastricht, the Netherlands, and then got a B.A. from Vassar College. After a few years working as an artist in New York, he needed to pay the bills, so Zhao made the switch. He was hired by a now-defunct boutique firm on 56th Street, working on mergers and acquisitions and initial public offering advisory projects. Once he had made enough money, he enrolled in an MFA program at Bard College. “As an artist, I always managed to sell a few paintings to international collectors,” he says. “But not so much.” In the early 2000s, he moved back to China, where he developed a successful art practice. Fifteen years later, Zhao is returning to the New York market with a solo show running from March 15 to April 19 at Greene Naftali Gallery in Chelsea. In the interim, global demand for Chinese contemporary art has grown dramatically. Last September, the work Juin-Octobre 1985 by Zao-Wou-ki sold for a record-setting $65.2 million at Sotheby’s in Hong Kong, while the overall Chinese art market accounted for 19 percent of global art sales in 2018, according to a UBS/Art Basel art market report. 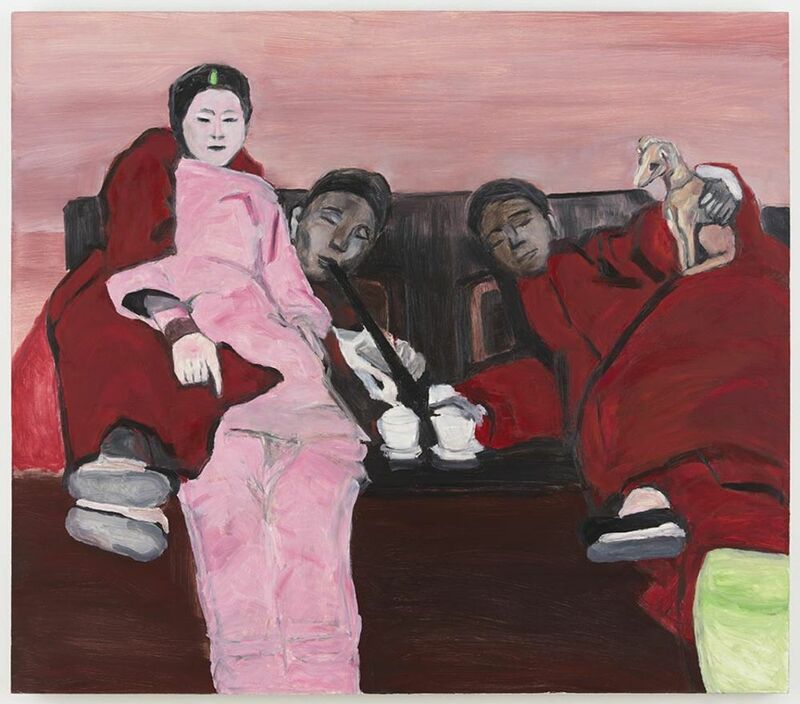 Even so, Zhao, whose rich, figurative paintings depict “court figures, leisure scenes, social decadence, political propaganda, and landscapes,” is opening his New York show in an uncertain market. That, dealers say, is the real issue: Since the 1990s, a handful of Chinese artists have had global success. 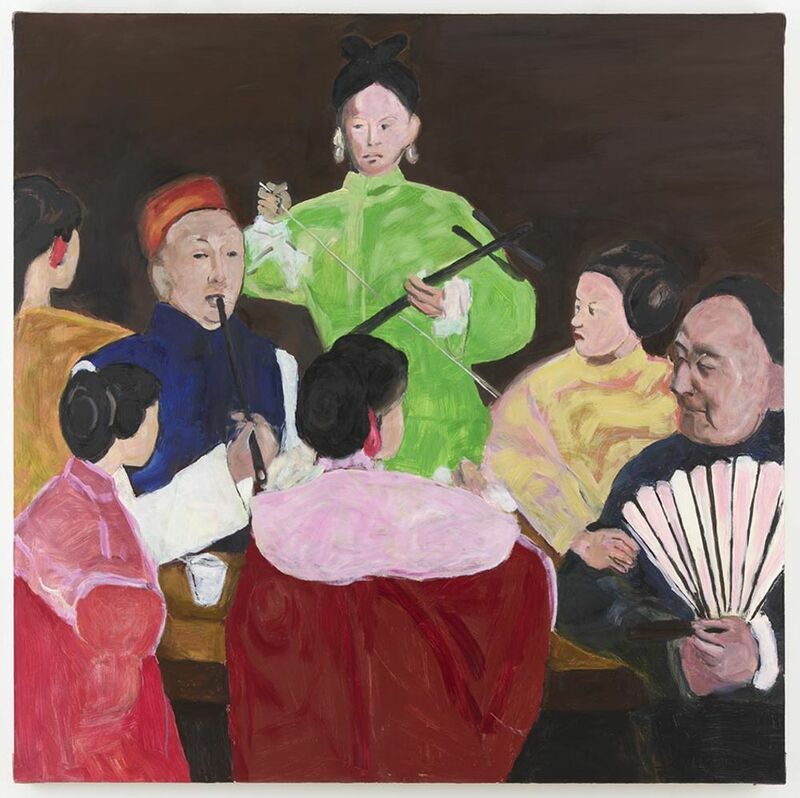 A work by Cui Ruzhuo sold for $39.6 million at Poly Auction in Hong Kong in 2016; the 2001 painting The Last Supper by Zeng Fanzhi sold for $23.3 million at Sotheby’s Hong Kong in 2013; Ai Weiwei’s 12 Zodiac heads sold for £3.4 million pounds ($4.5 million) at Phillips in London in 2015. But even as Western galleries attempt to break into this lucrative Chinese market—recently, David Zwirner, Hauser and Wirth, Levy Gorvy, and Gagosian have joined early players such as Pace in opening outposts in China and Hong Kong—there hasn’t been an equal exchange. “You have to remember that the historical situation is completely different,” says John Tancock, a historian and advisor to Chambers Fine Art, a gallery that pioneered the market for contemporary Chinese artists in both New York and Beijing. There are obvious exceptions. Ai Weiwei is the major one; Liu Ye, whose work has sold for more than $5 million at auction, was just picked up by David Zwirner; Zhang Huan, who’s nine-photograph piece Family Tree (edition of eight) sold for $640,000 at Christie’s Hong Kong in 2014, is represented by Pace; and several others have a robust international collector base. Yet there’s reason to believe that Zhao, whose prices at the Greene Naftali show range from around $34,000 to $76,000, could be welcomed. Tancock cites two recent Chinese artists that Chambers introduced to the U.S. who’ve been met with success—Taca Sui and Yan Shanchun. More important, Zhao isn’t a total unknown. He already has some collectors in New York, thanks to a 2016 show with Tilton Gallery, and unlike some of his peers, Zhao is working in an established vernacular.